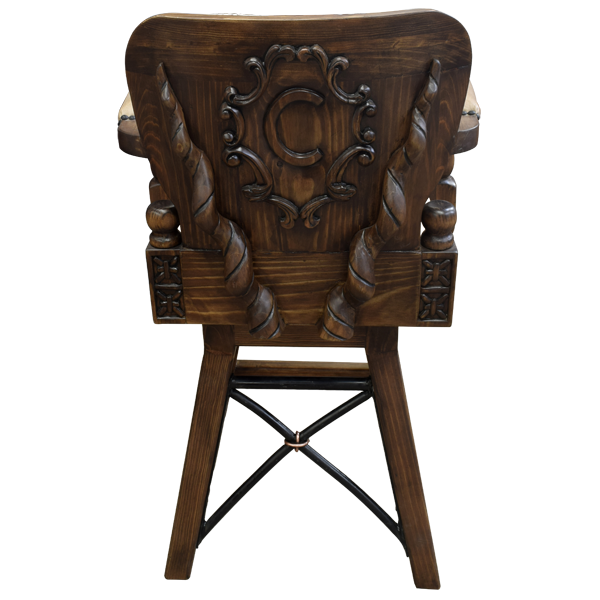 This handcrafted bar stool reflects various details specifically requested by the client, including the magnificent hand carved wood designs on the reverse seat back. Jorge Kurczyn, our master designer, can work directly with you in creating your own furniture design, or we can modify an existing design to reflect your interest or needs. 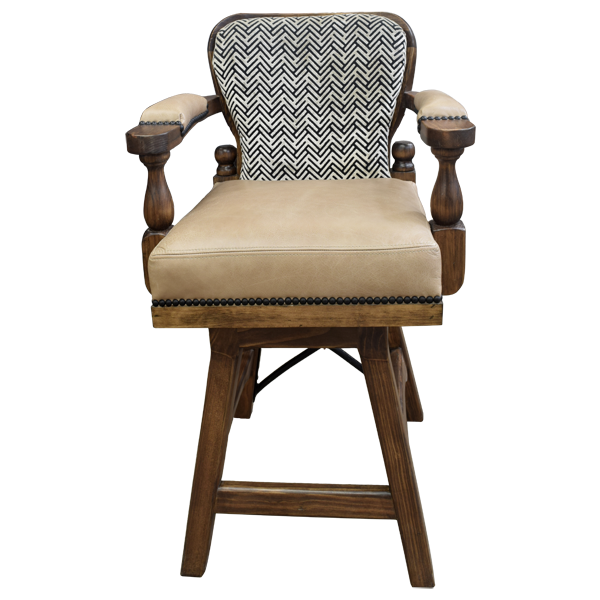 This bar stool is upholstered with rich, beige colored full grain leather on the seat and arm rest, and the inside seat back is upholstered in lovely, patterned fine fabric. 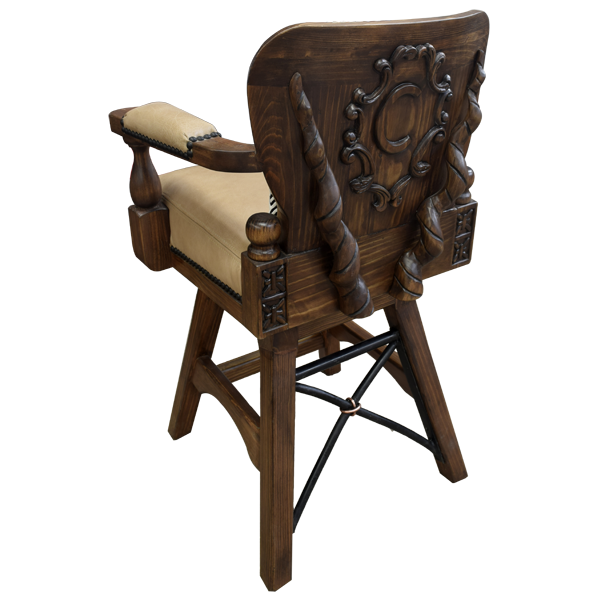 The reverse seat back is finished in spectacular, hand carved wood designs requested by the client. 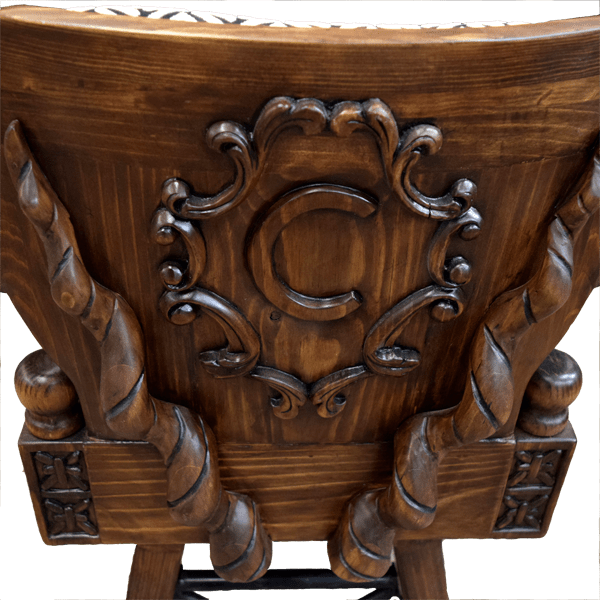 All custom hand carving is performed in our factory by our skilled craftsmen. 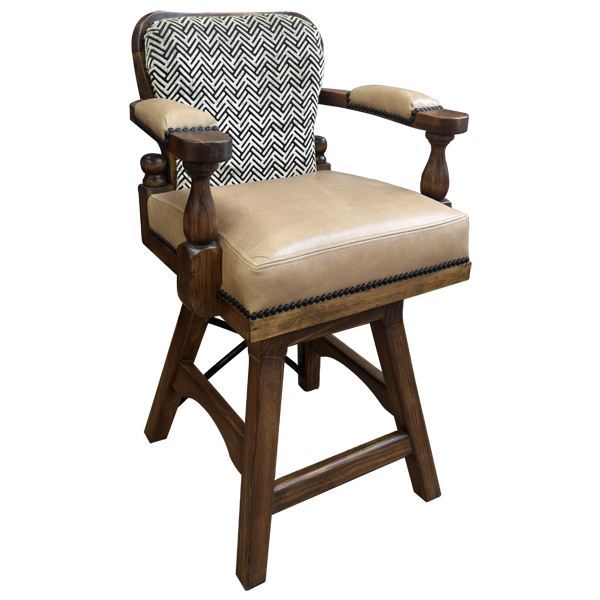 Also, the upholstery is hand tacked to the entire wood frame with the greatest care by our craftsmen. 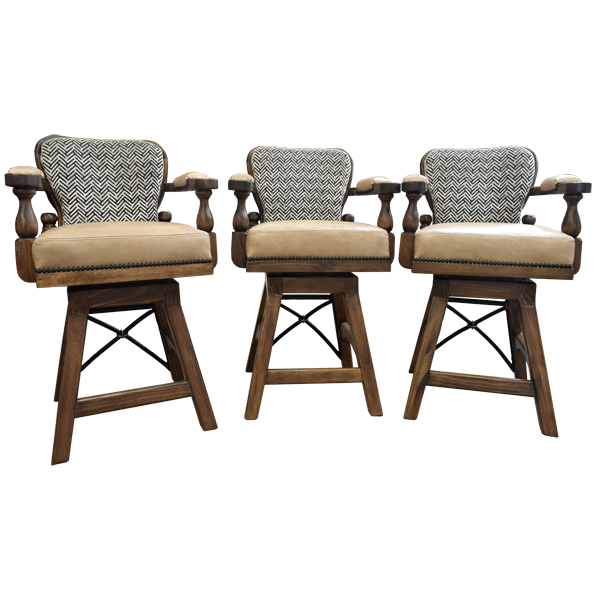 The bar stool is made with the best wood available, and is durable and comfortable. 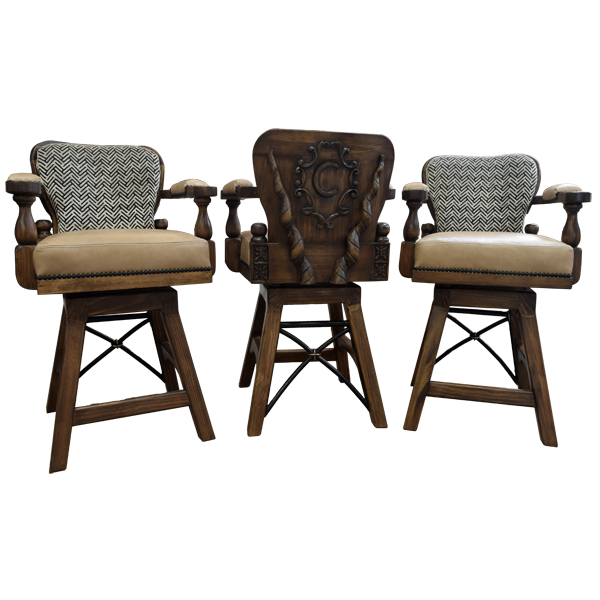 The entire bar stool sits on splayed legs joined by a curved cut footrest box stretcher. 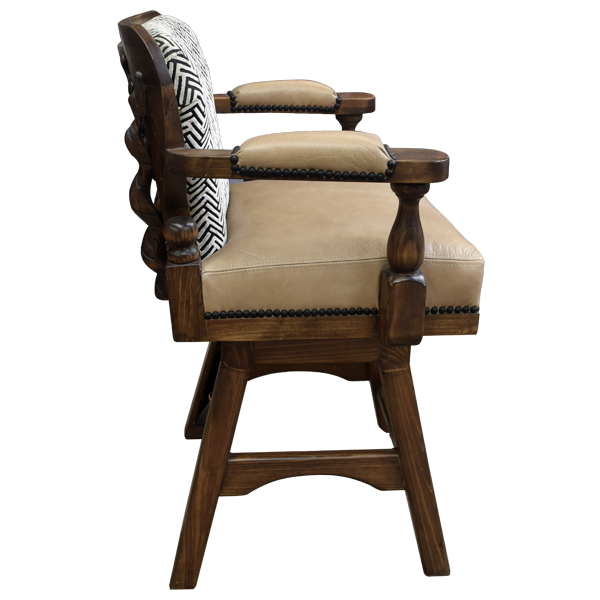 The back legs are joined by a decorative hand forged iron design. It swivels 180° and is 100% customizable.